We have a range of dance programmes for children to have fun, be creative through movement, and get active. Our programmes uphold our belief in the development of the whole child - not just the physical or intellectual, but also the inner self. These programmes are suitable for children aged 4 - 12. We adapt the material to meet the needs of the groups we dance with - whether the needs are based on age, disability, etc. 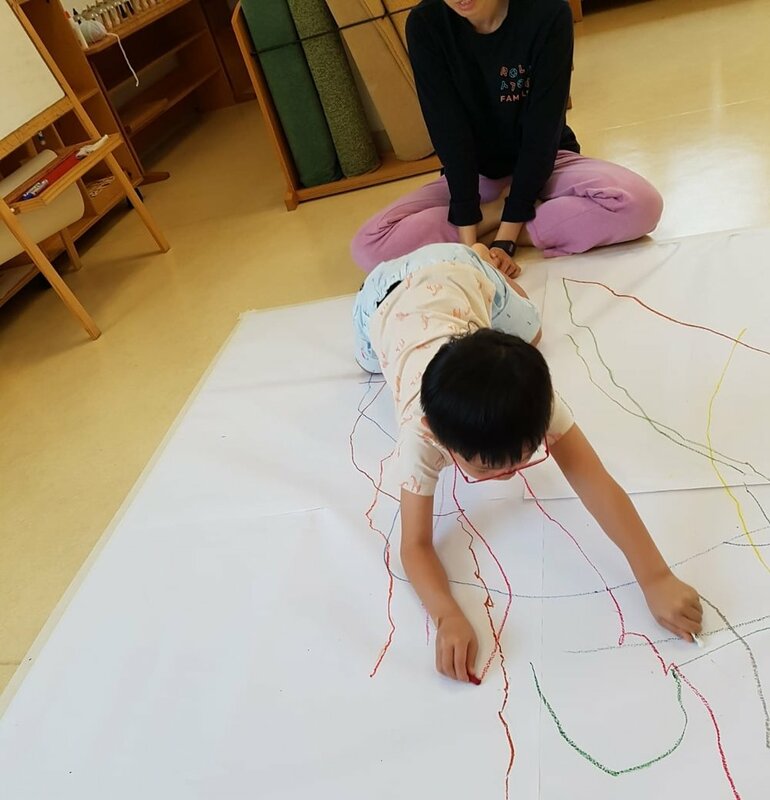 We work with arts and social service organisations, schools and homeschool co-ops to bring our unique blend of dance, structured facilitation and free play to children and families across Singapore and beyond. Dance Playground is where we explore dance and movement through unusual play structures and get (a little) messy. We play games that transform movement into visual forms... that transform back to movement again. What do wiggles, jiggles and squiggles create? You will find something new in each Dance Playground, even if it might look the same at first. We developed Dance Playground through our play with children of various ages, as well as our training with Segni Mossi. Dance Playground is available as a 60 / 90 min programme or in a series. We can facilitate this in different settings, such as in schools, homeschool groups, at events, etc. Dance Jambo! is time and space set aside for children to explore dance and movement. Specially selected music set the mood for different phases of the jamboree and facilitators dance alongside the children to suggest corresponding movement for each phase. Children are free to choose where they dance in the designated space, how they dance and when they dance. Other materials will be provided for children to discover and use for their dances as well. Dance Jambo! is available as a 45 min programme or in a series. Our customised creative camps are where children learn and play through their various faculties. We work closely with our partners to determine the most suitable activities for the camp. Working with a cross-disciplinary team, we are able to incorporate the performing arts, visual arts, sensory arts, technology, mindfulness exercises, and more. Creative Camps come in all shapes and sizes. We can organise and facilitate Creative Camps in different settings, such as in schools, homeschool groups, at events, etc. For children, families or communities who are looking for more attention and customisation, our dance artists are available for private lessons or consultations.